Inside this book you will discover more than 200 crazy good go-to breakfast, dinner, and dessert recipes for every holiday, season, and month of the year, as well as a helpful Tips and Tricks section featuring “Baking Essentials” and “Grocery Staples”. 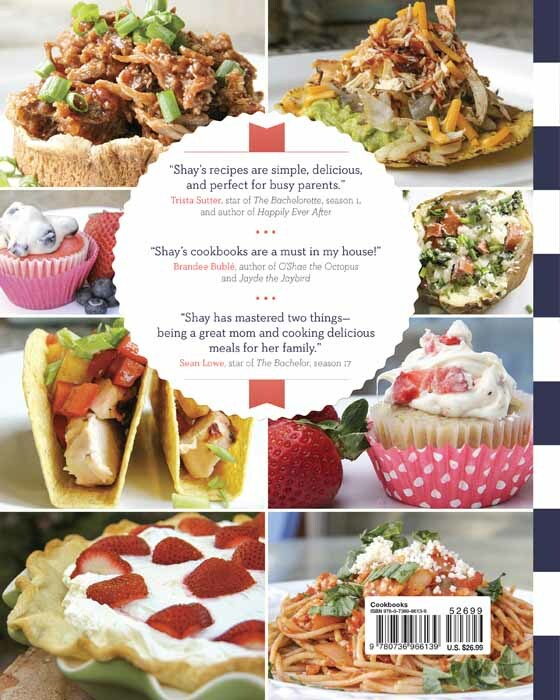 "Shay's cookbooks are a must in my house! As a fellow mama of busy, growing kids, she makes it easy for me to make my family yummy, healthy meals. And the best part...they don't take a million and one hours or ingredients to do it! I love all of her recipes and every sweet treat. I simply adore her from my head to my feet!" "Thanks to my friend Shay Shull, the Mix-and-Match Mama, the cooking gene I always said I didn't have has worked its way into my DNA. Okay, maybe not completely, but I don't need one with Shay's recipes! They are simple, DELICIOUS, and perfect for busy moms, parents, grandparents, sitters, ladies—really, anyone like me, and I love her for it! You will too!" 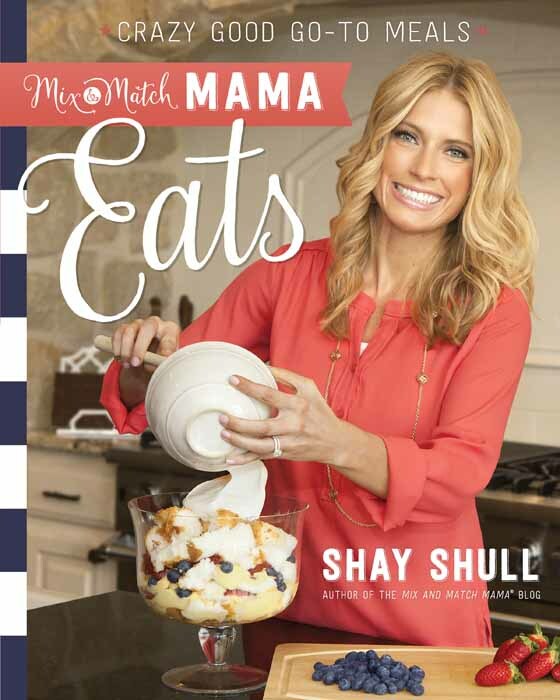 "Shay has mastered two things—being a great mom and cooking delicious meals for her family. Luckily for me, I've been on the receiving end of the latter for years. Shay's passion for helping other mothers in their pursuit of creating delicious meals for their families has been inspiring to watch. Her collection of easy-to-make recipes has made dinnertime at the Lowe house so much better!" "Shay is passionate about cooking, for sure, but to me it's her passion for people that makes what she does so meaningful. Yes, she creates simple, delicious recipes, but she's also giving us tangible ways to care for our families, to prioritize time around the table, to reconnect at the end of a long day. What a gift she is—and what a gift to your family this cookbook will be!"